Add a pretty nifty mathematical widget on your form to convert integers between various number bases. 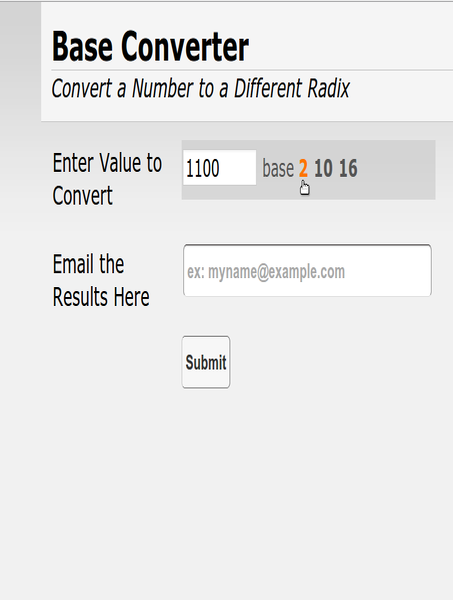 This widget automatically converts the entered integer value into the selected number base. 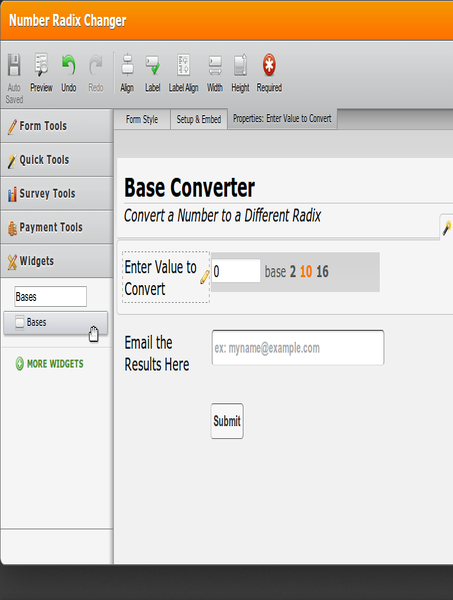 When the form is selected, all corresponding conversions are shown. 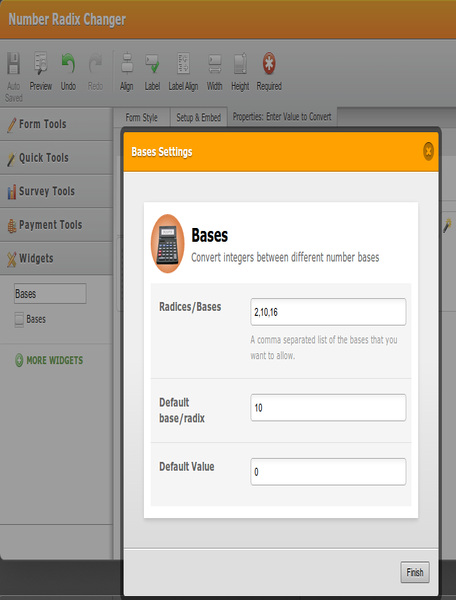 The widget is easy to configure once you have added it to your form. All you have to do is list the different radices or number bases you would like to covert the integer to, the default number base, and the default value to be displayed once the form is opened. This is an essential and fun add on to all mathematical forms.